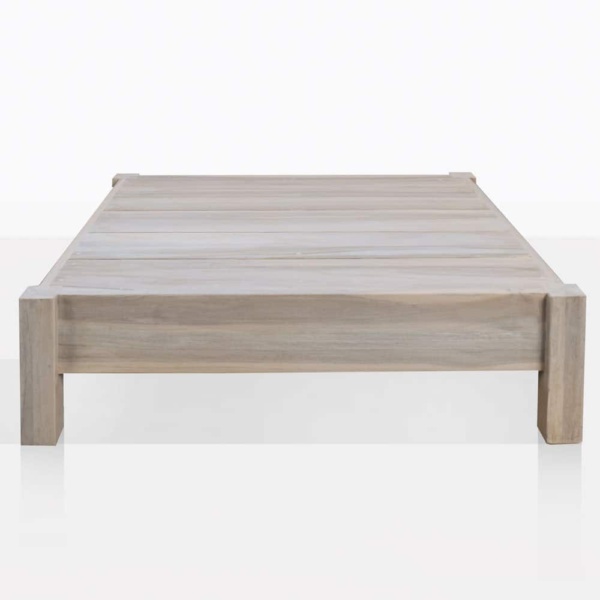 The balance between the design of this coffee table, and the strength of the teak along with the dreamy whitewashed teak is stunning. It is a perfect size; it’s not too large or too small. 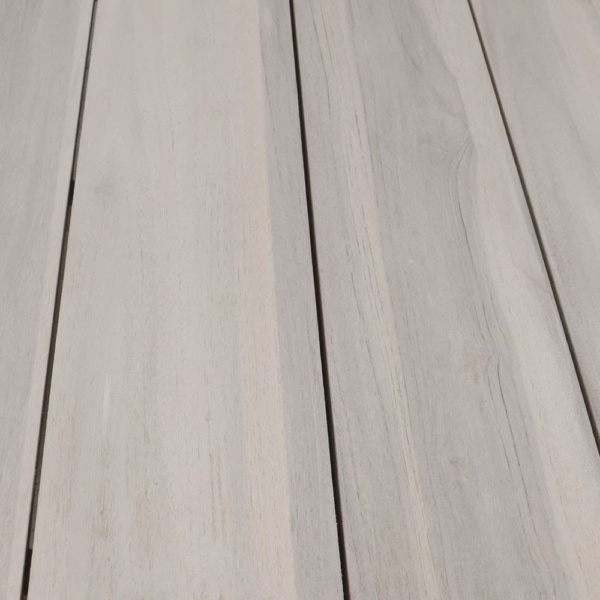 It is beautifully constructed with durable and thick slats of teak. The teak is smoothed and washed to a soft color. And the grain of the wood is the star of the design. Request a quote today for the Kent Street Coffee Table or browse the rest of our catalog. 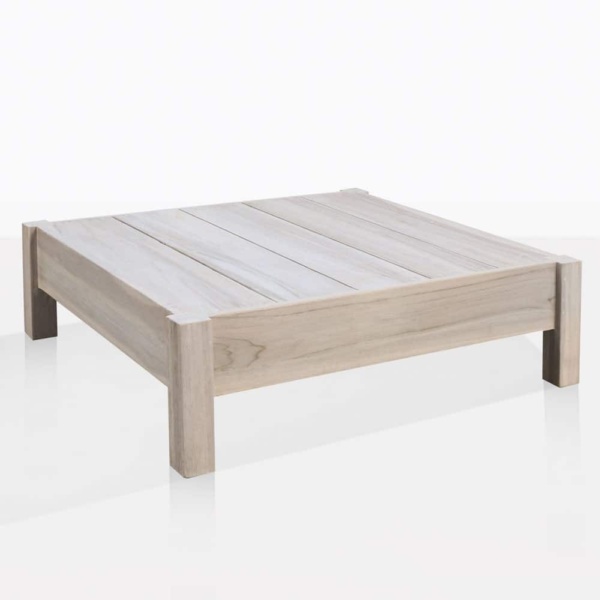 We have over 60 different styles of coffee tables to choose from!